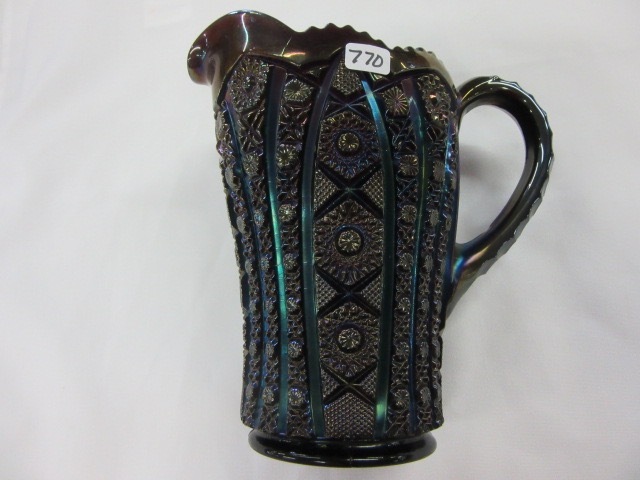 Found in a wide range of shapes, Octagon was one of Imperial's most enduring patterns. 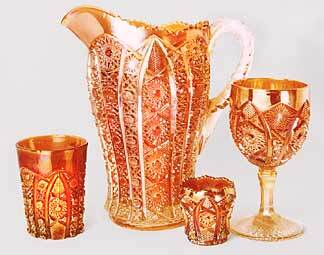 Shown left are a tumbler (two sizes known, the variant about 1/4 inch taller than the regular), a pitcher (there are two sizes of water pitchers, 10-inch and 8-inch, and a 6 1/2-inch milk pitcher), a toothpick holder, and a water goblet. 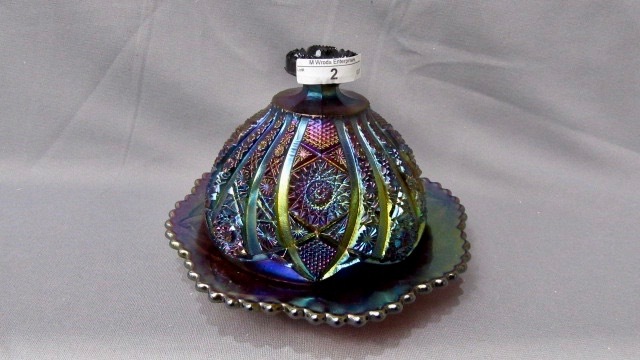 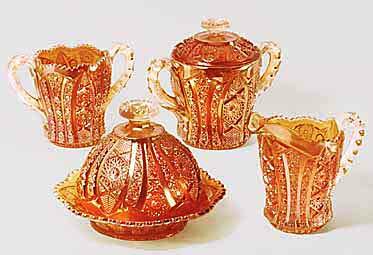 The table set has the standard four pieces including a covered butter dish and covered sugar. 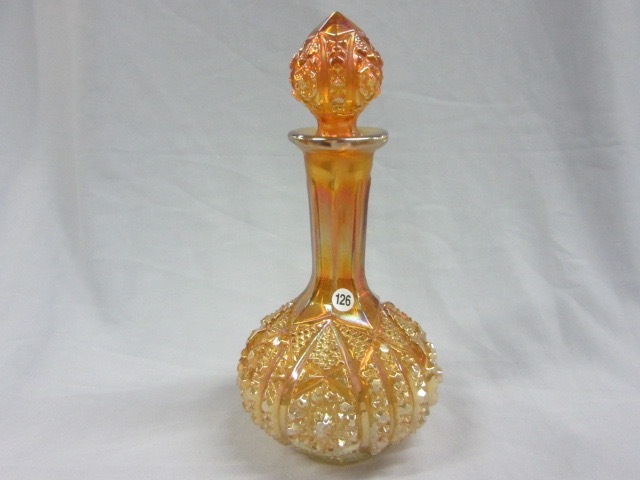 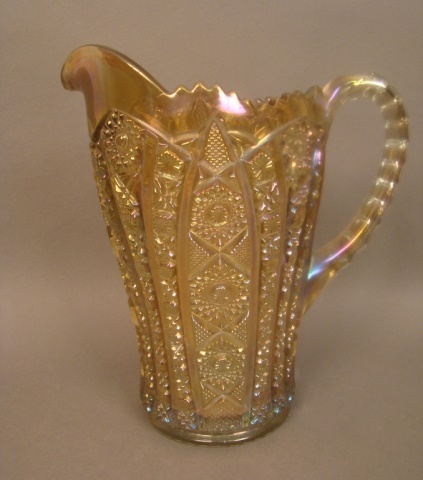 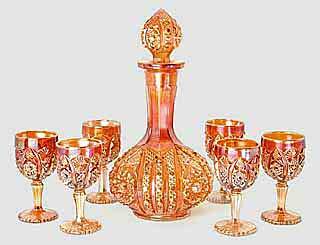 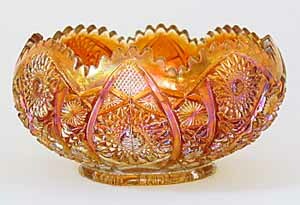 The Octagon pattern has been reproduced by several makers. 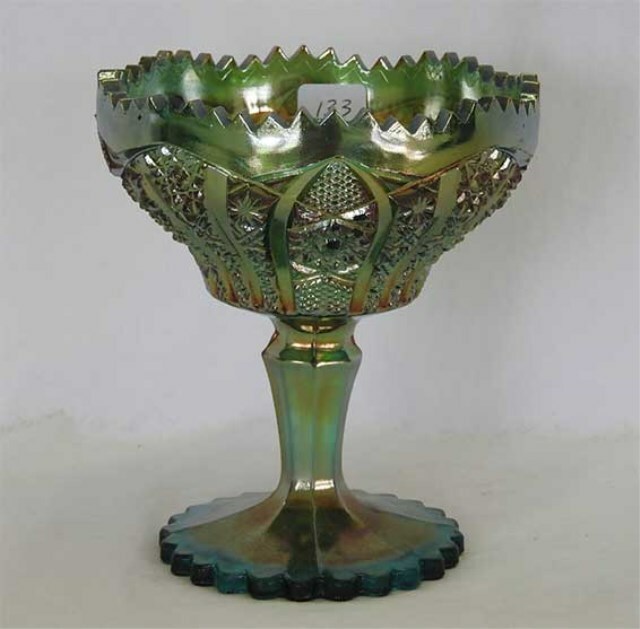 Green is a very rare color in Octagon. 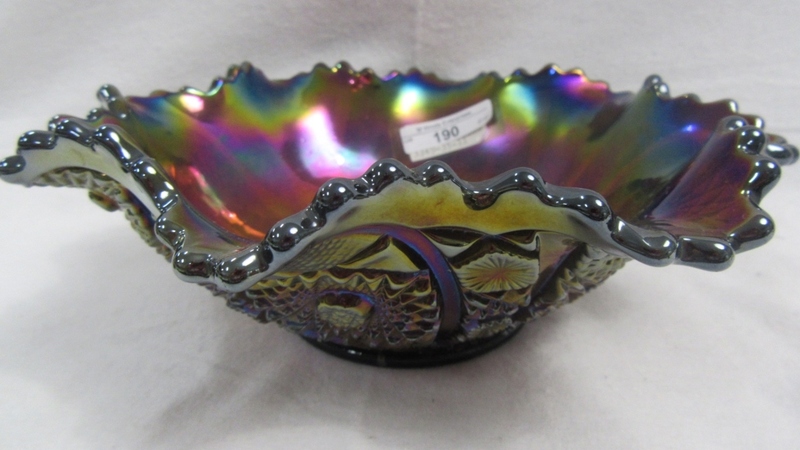 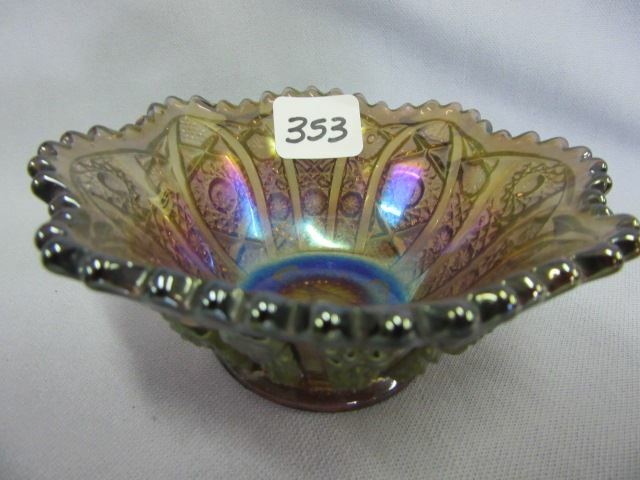 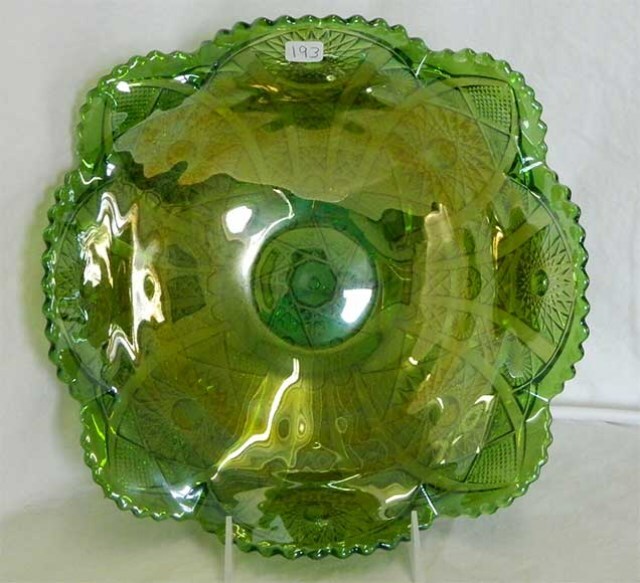 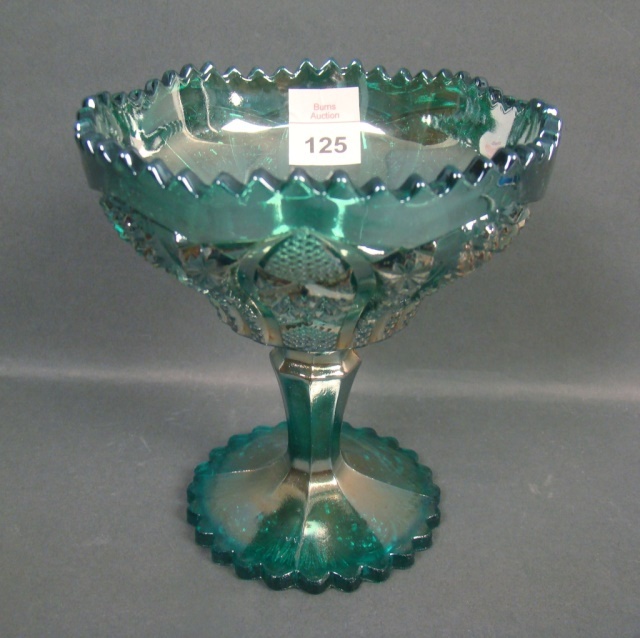 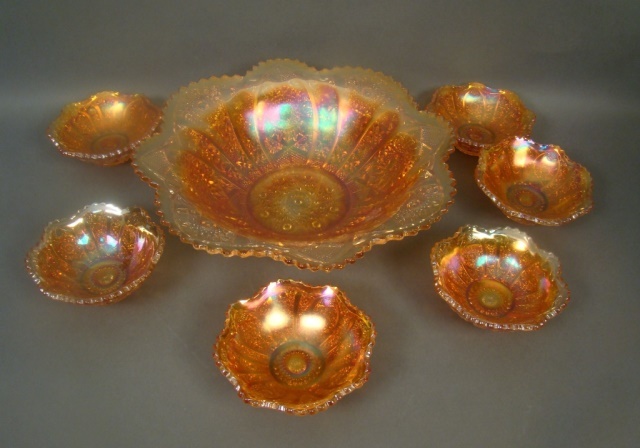 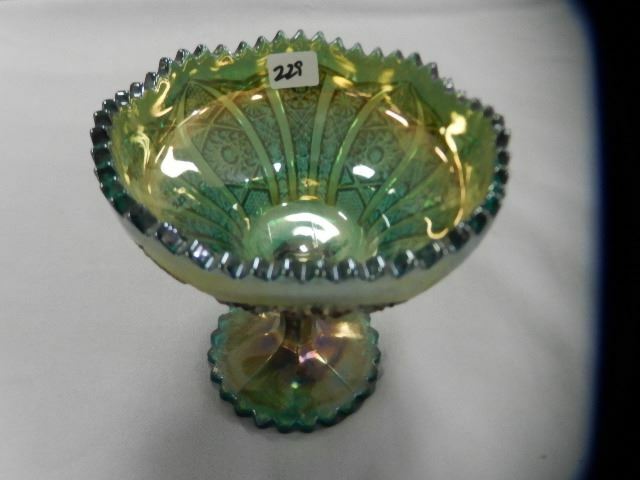 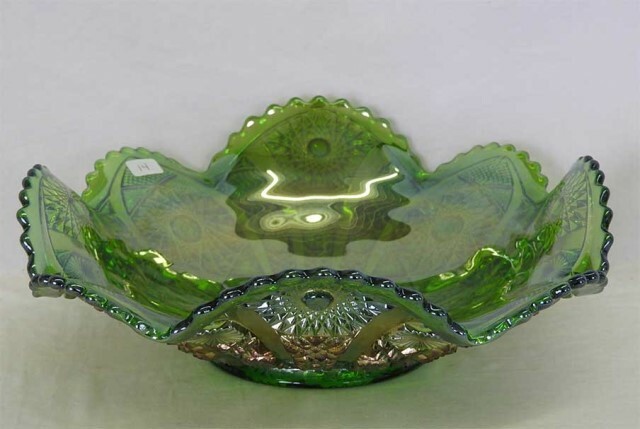 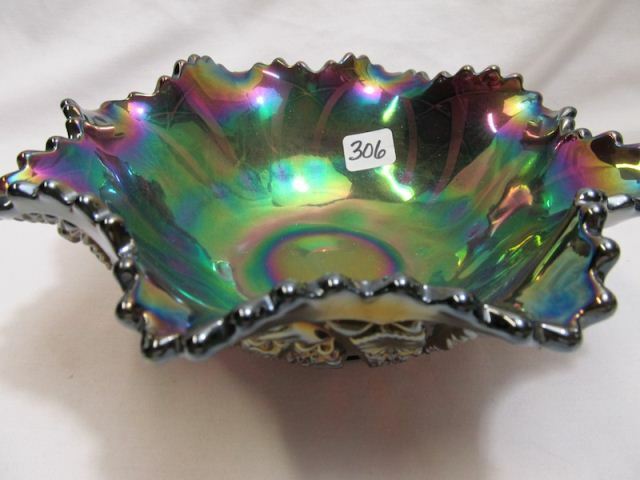 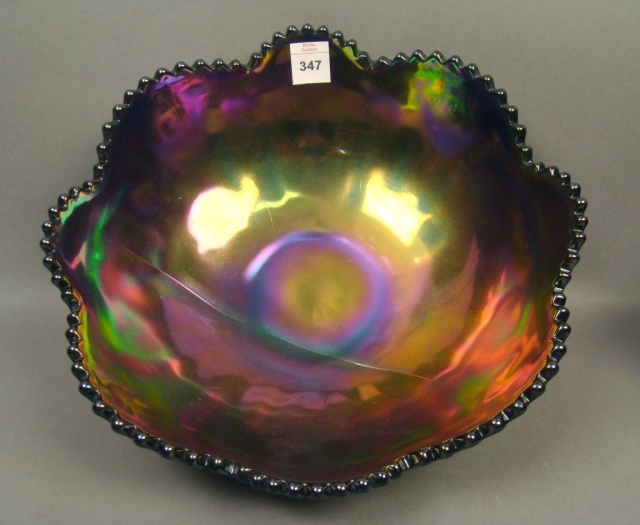 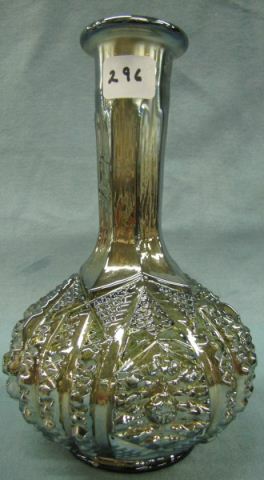 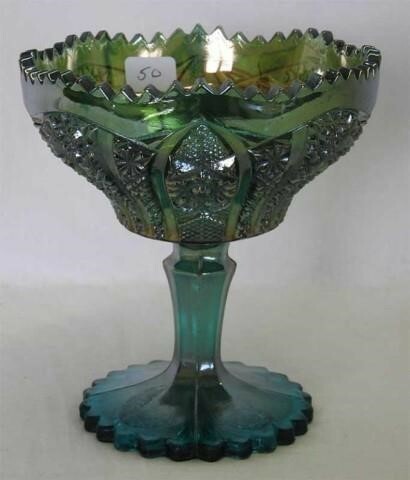 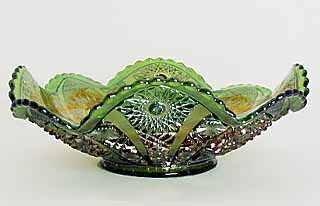 The above bowl, described as a centerpiece bowl at the 2003 auction where it brought $240, is 12 inches across. 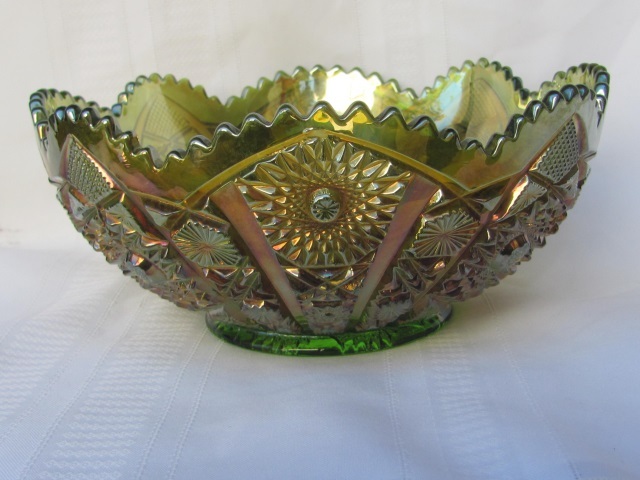 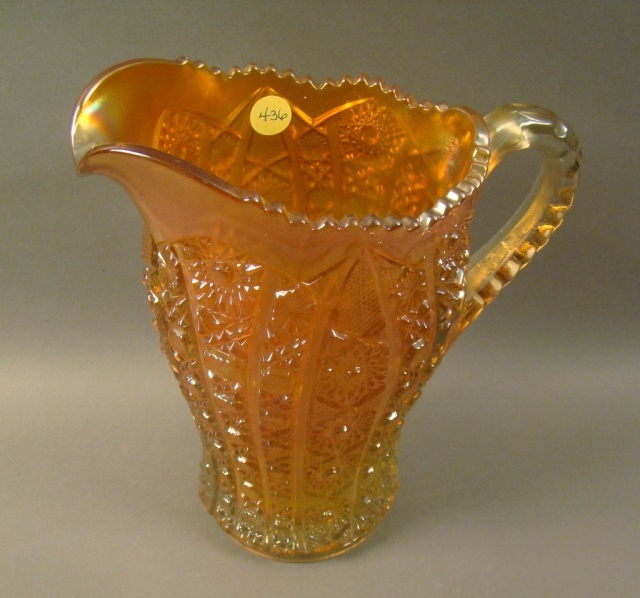 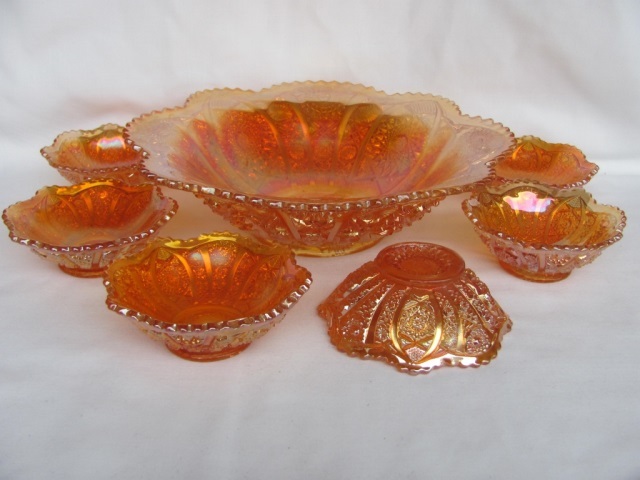 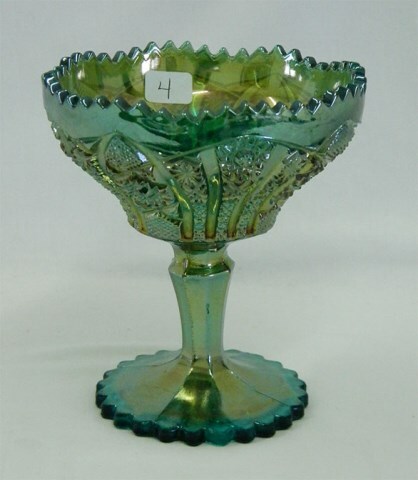 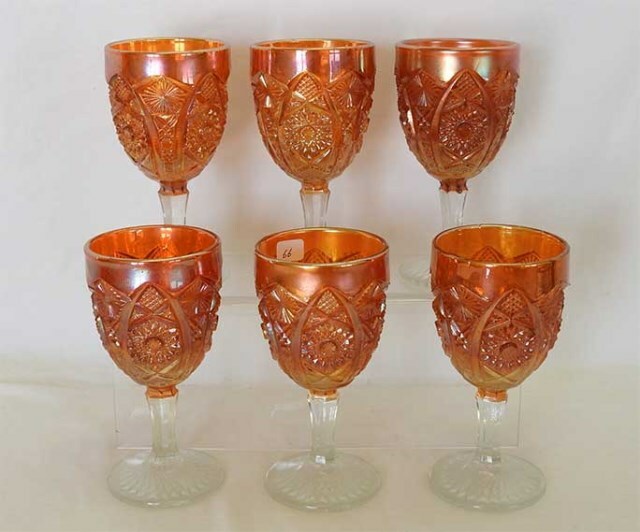 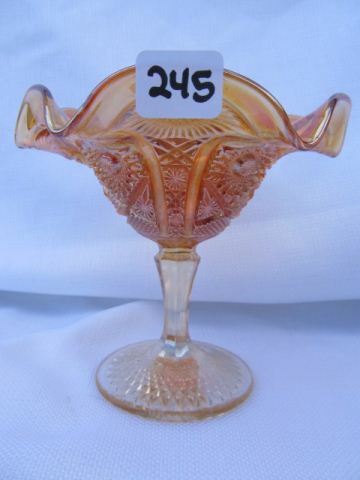 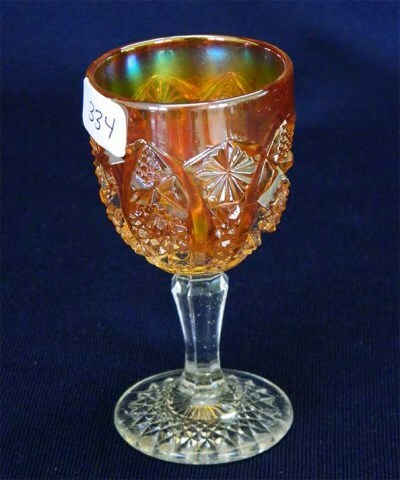 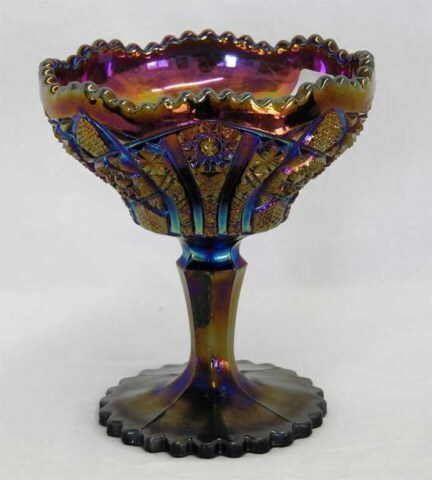 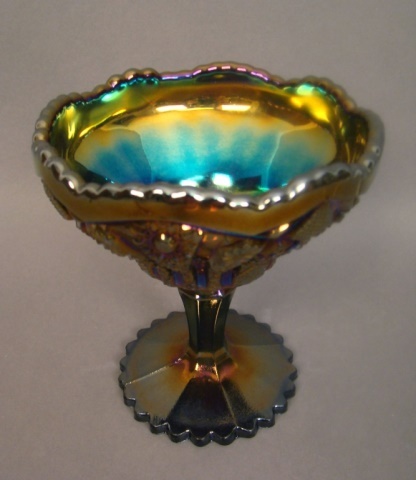 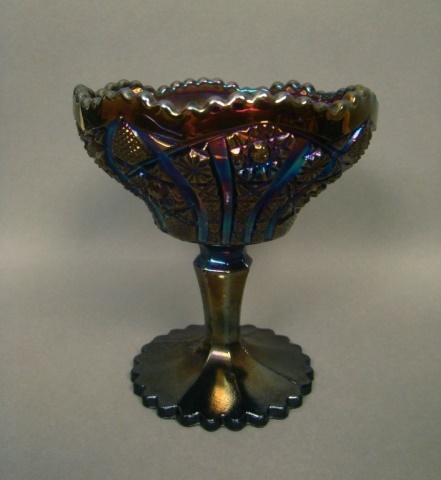 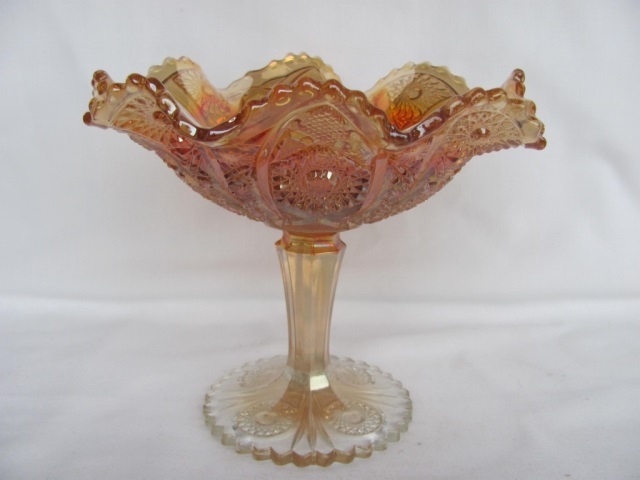 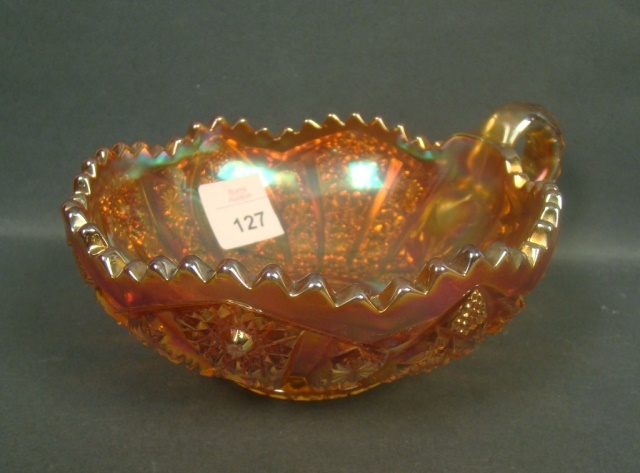 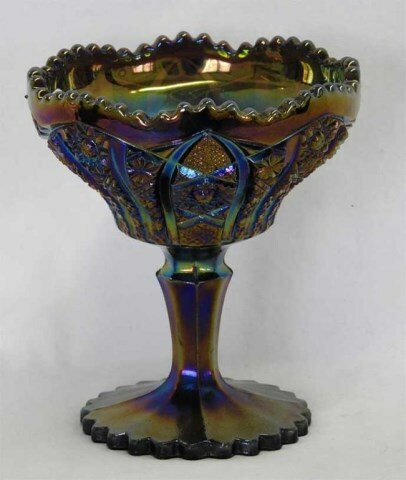 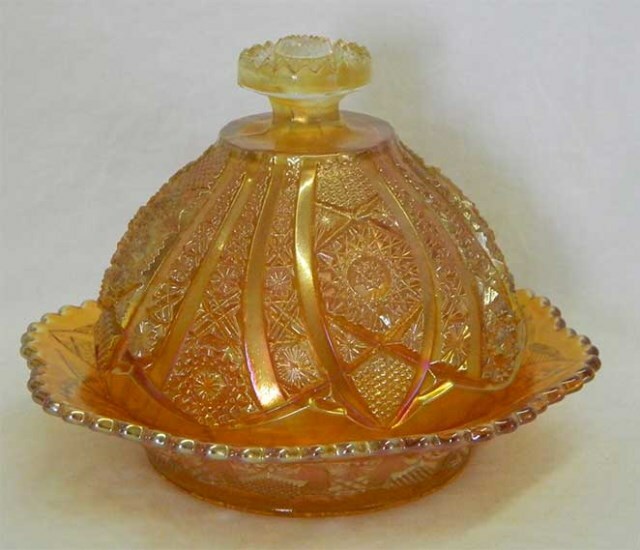 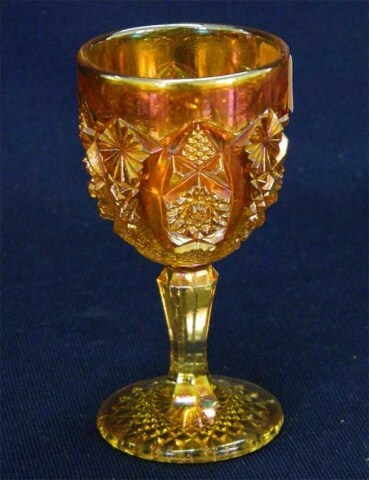 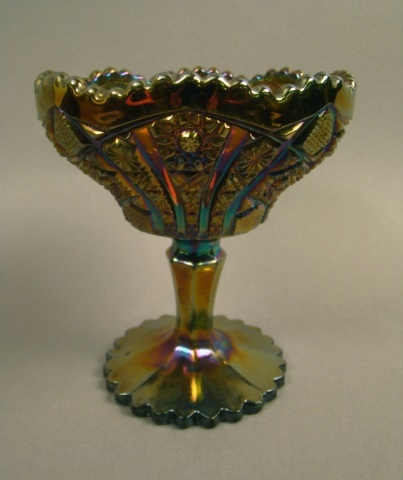 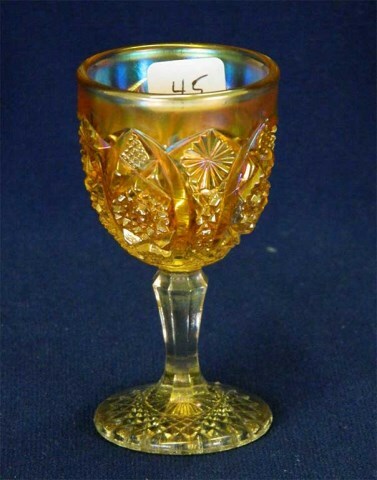 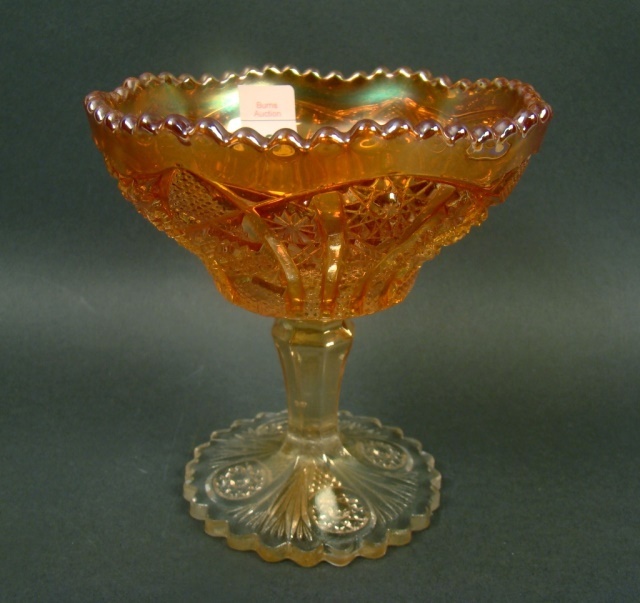 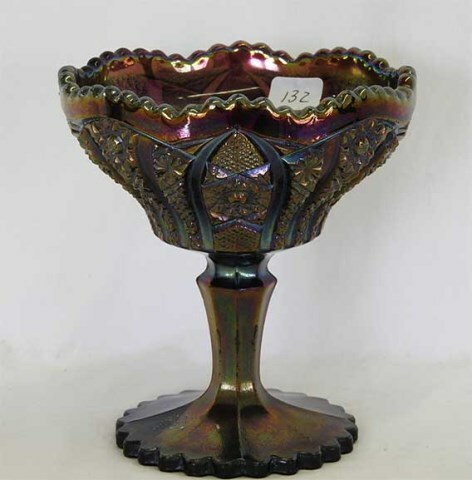 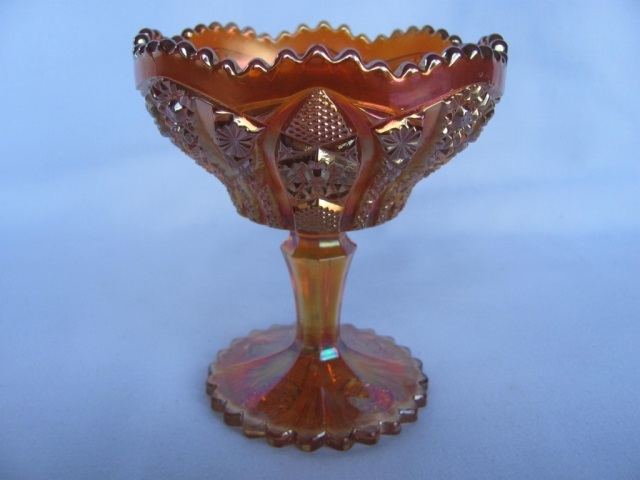 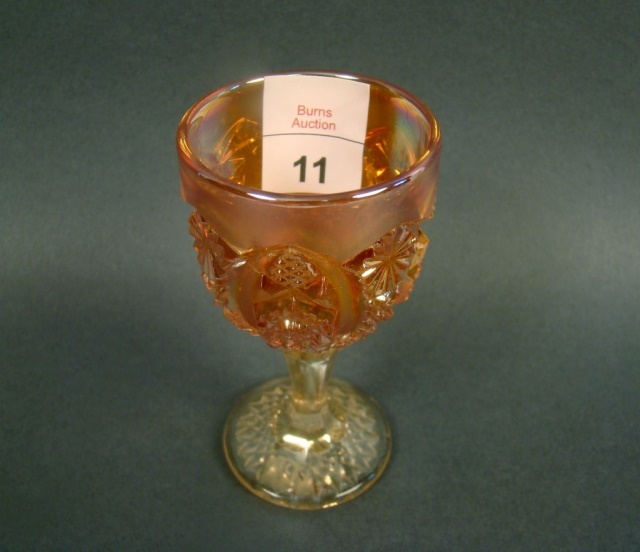 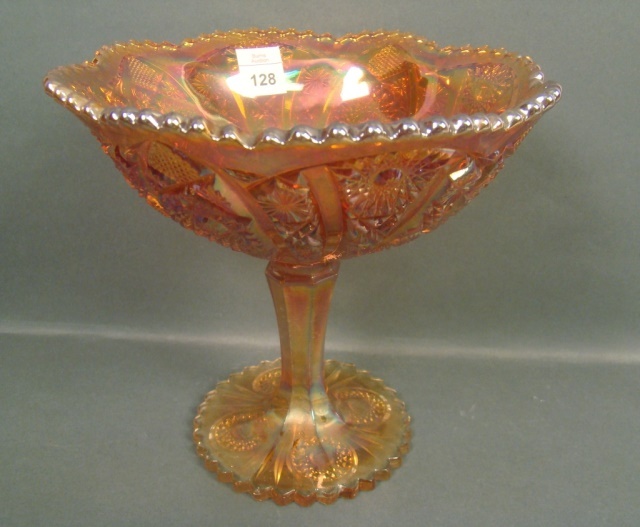 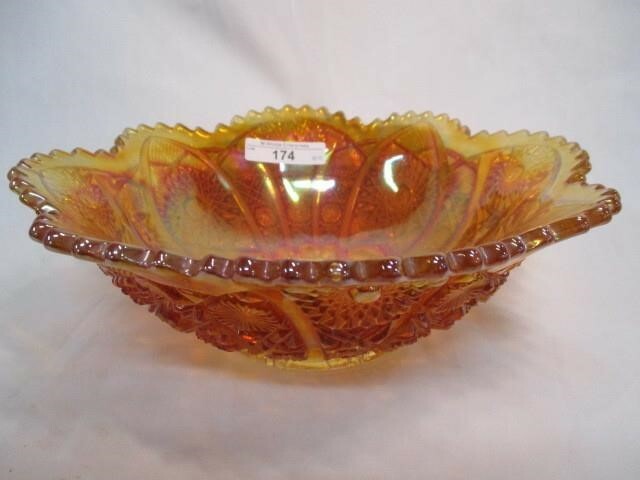 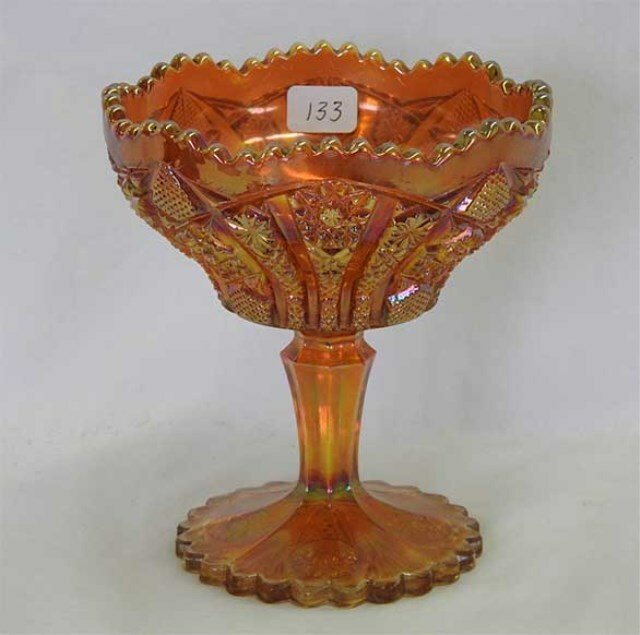 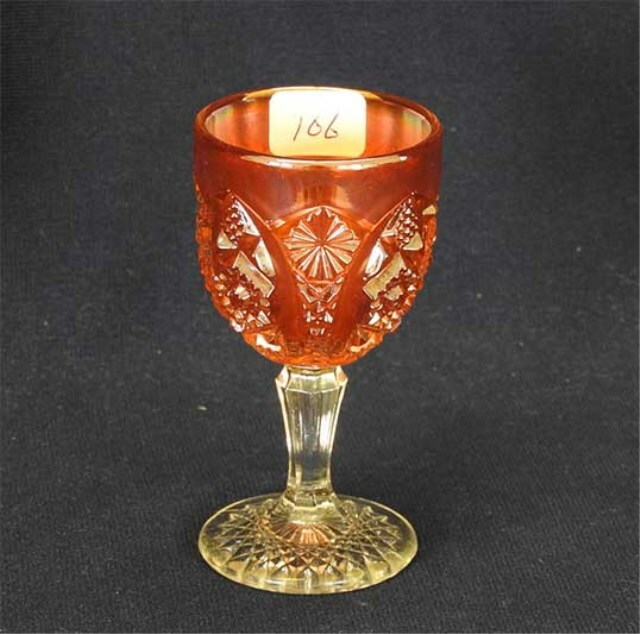 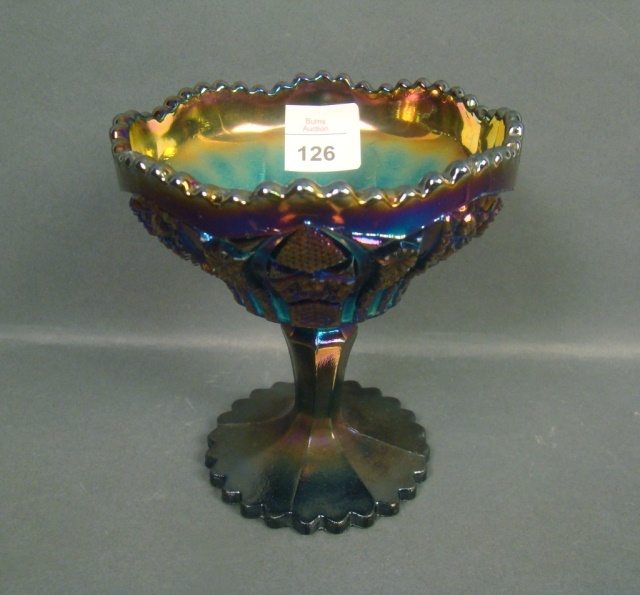 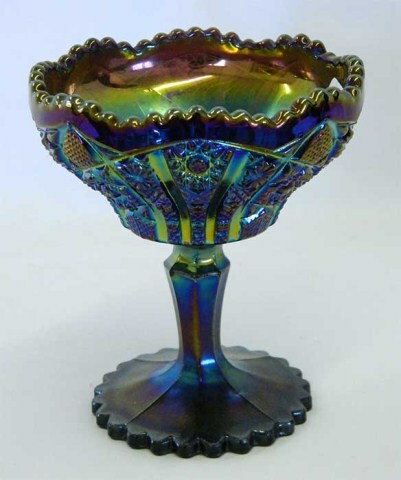 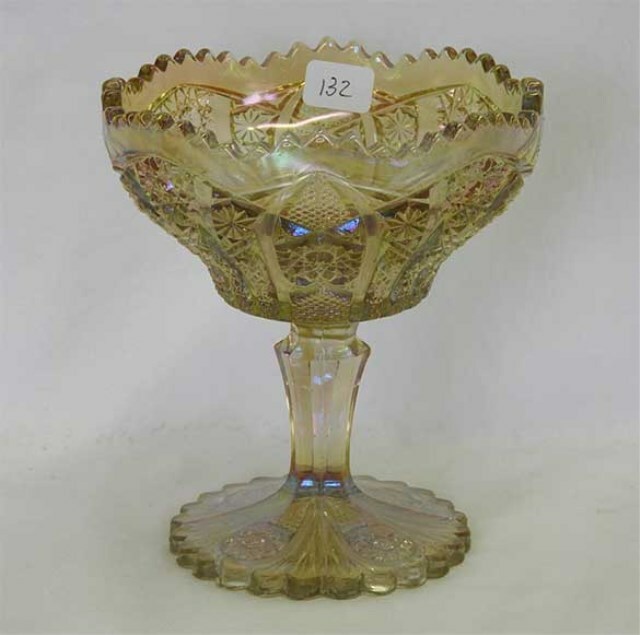 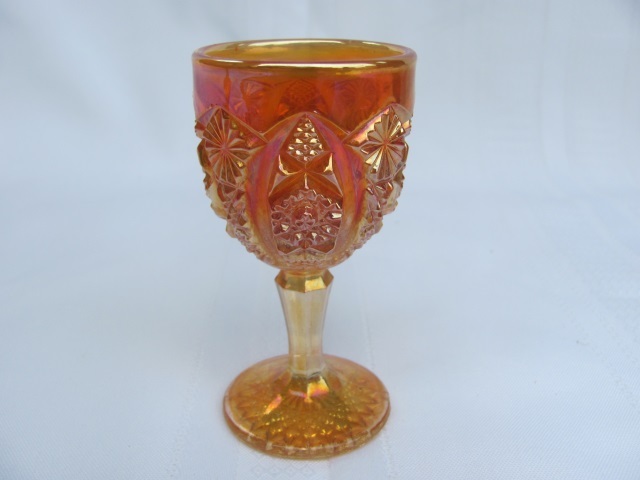 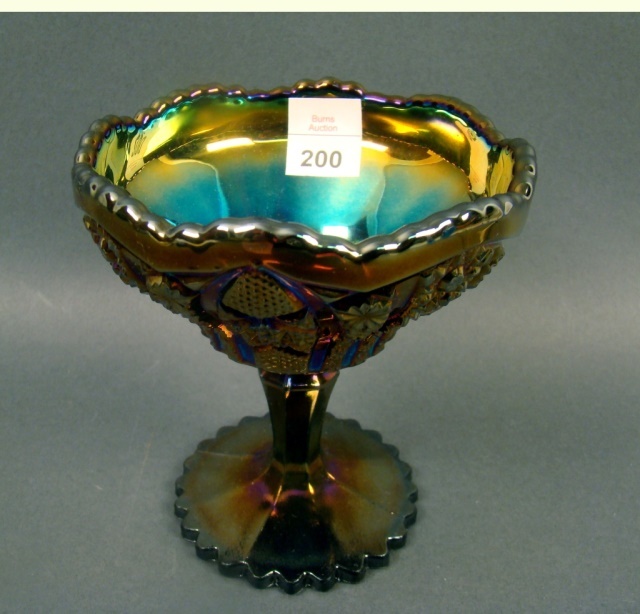 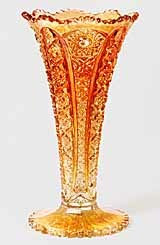 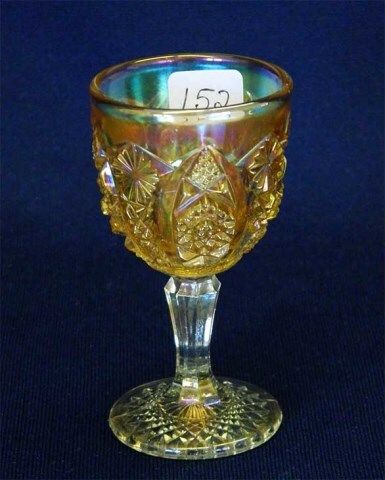 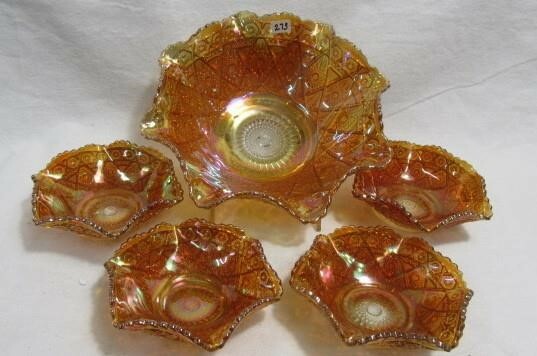 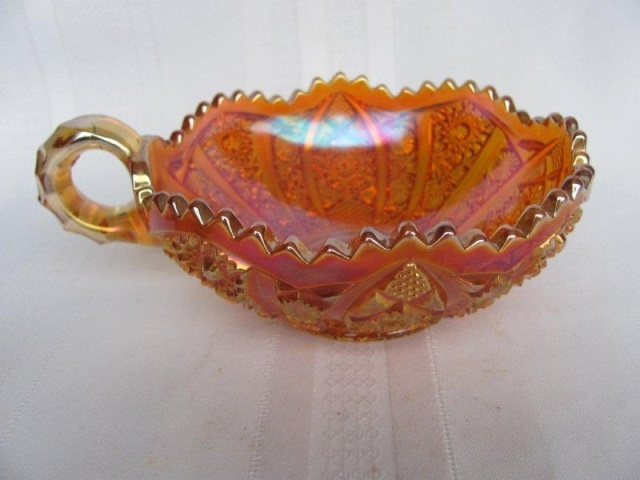 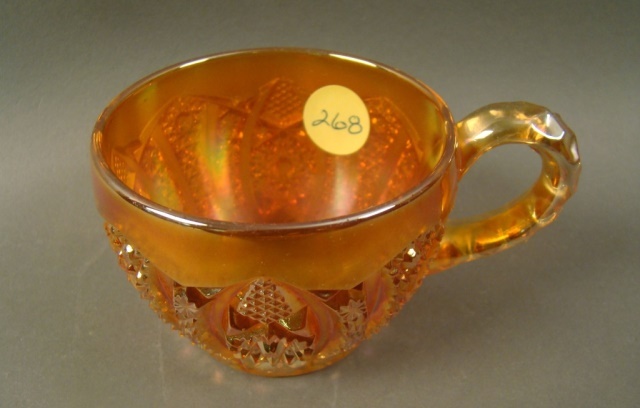 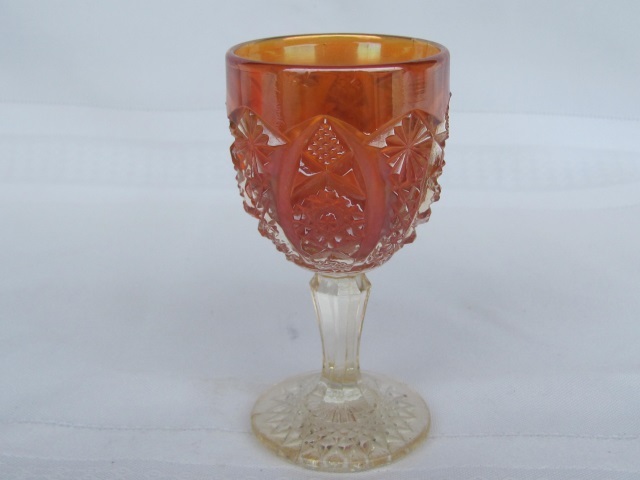 The marigold rosebowl, which also sold in 2003, has a 6½ inch opening. 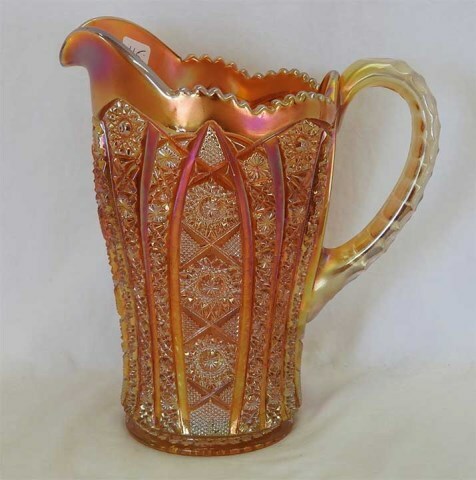 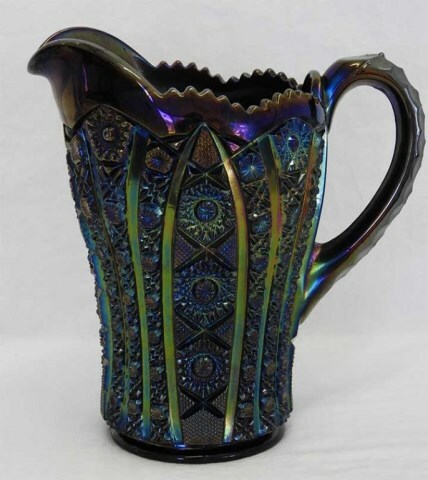 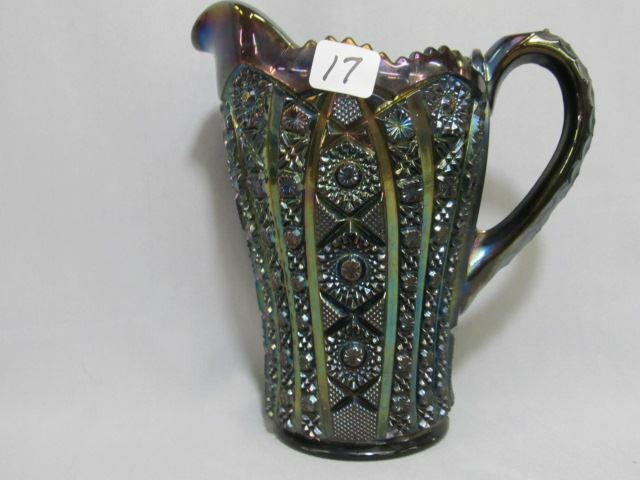 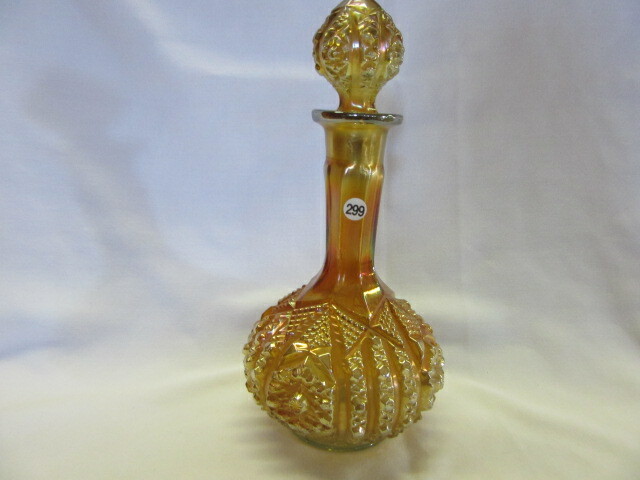 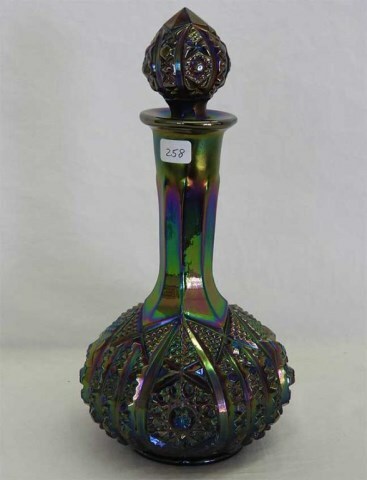 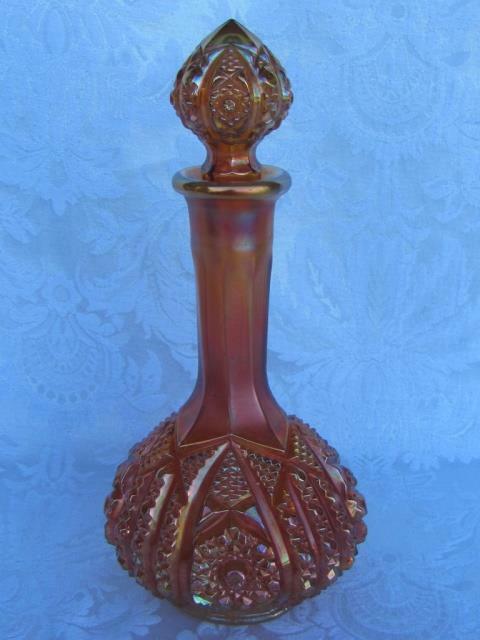 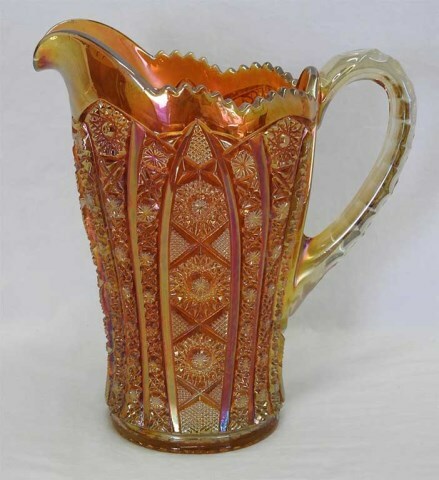 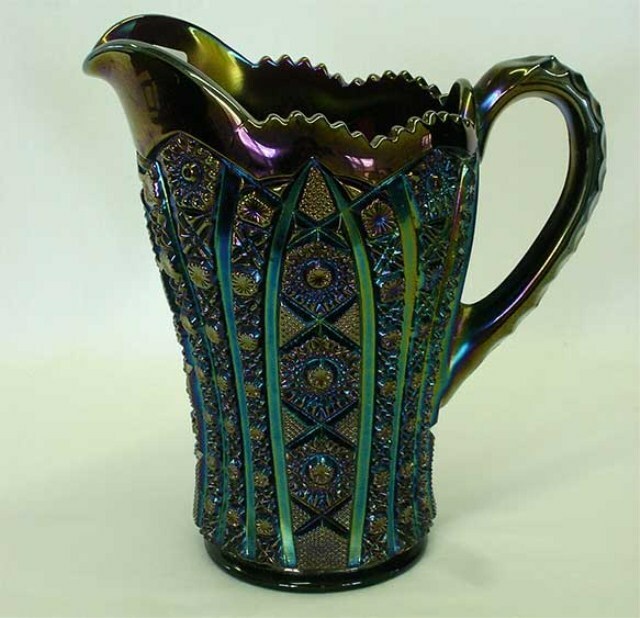 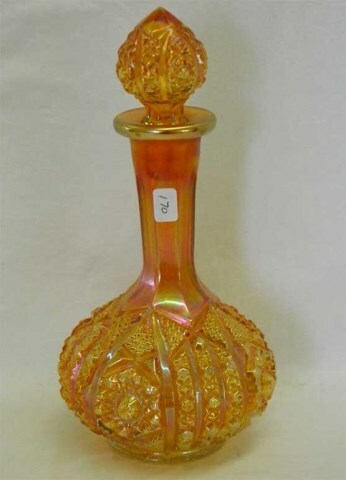 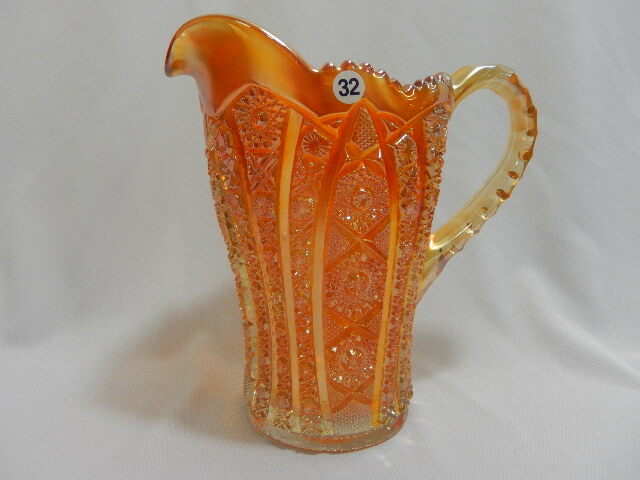 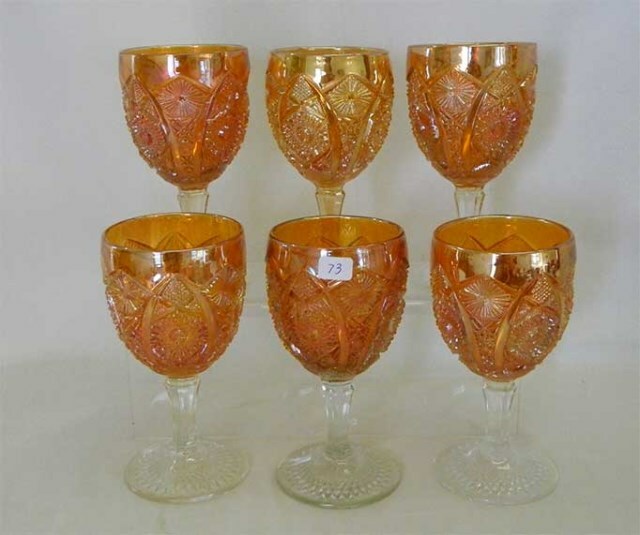 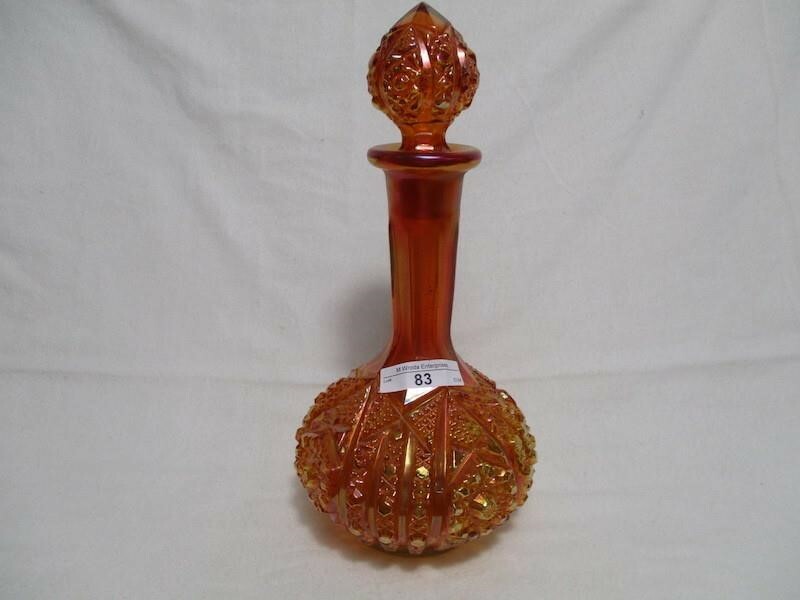 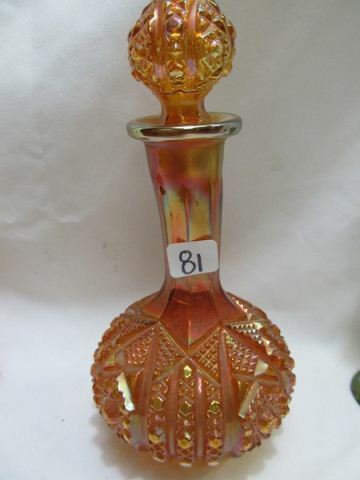 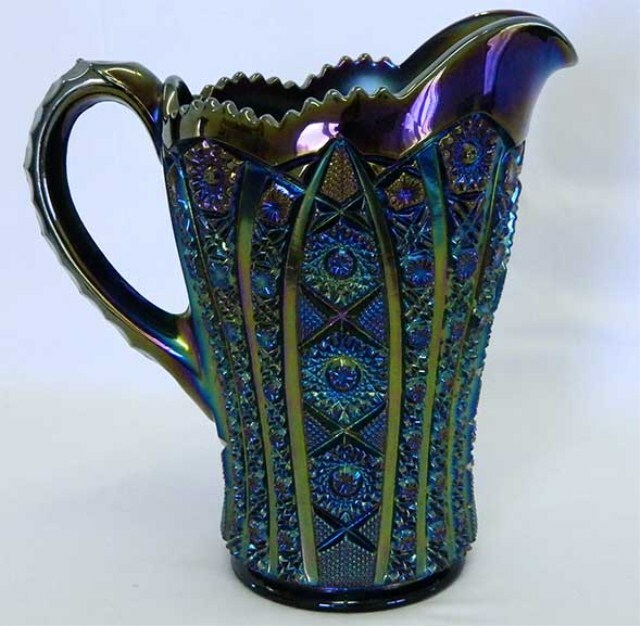 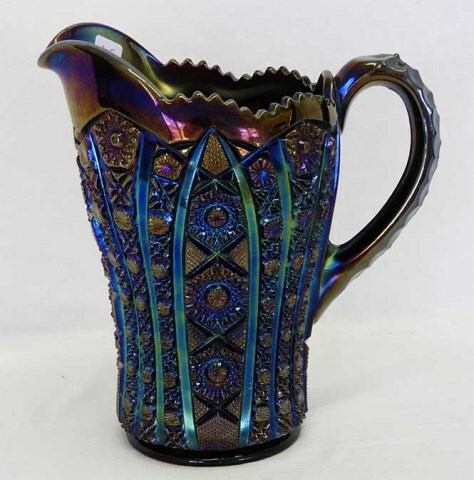 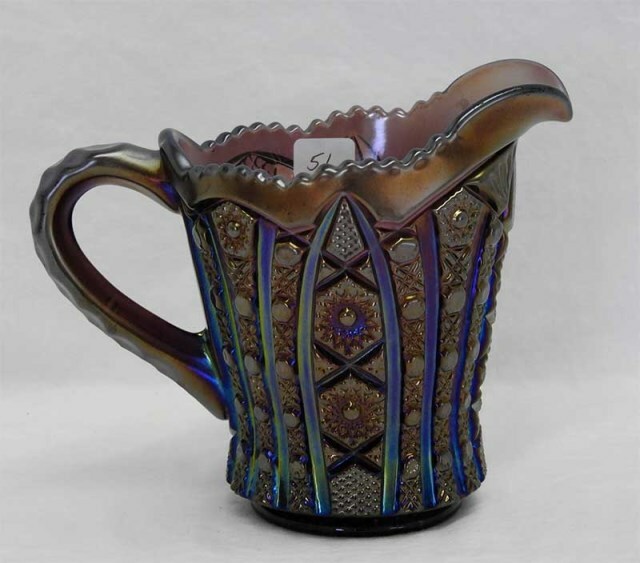 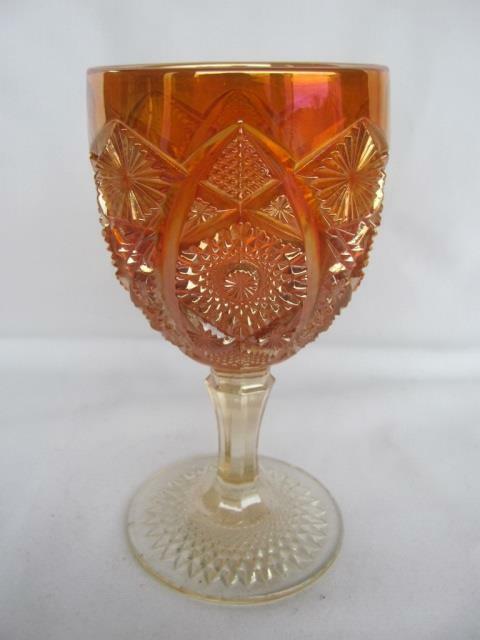 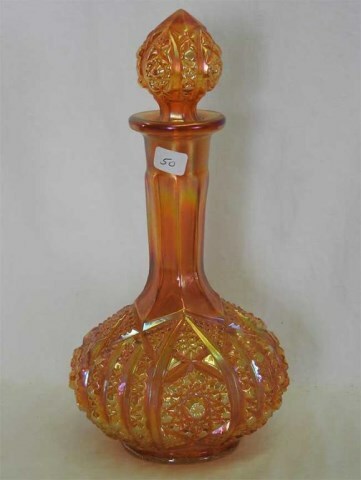 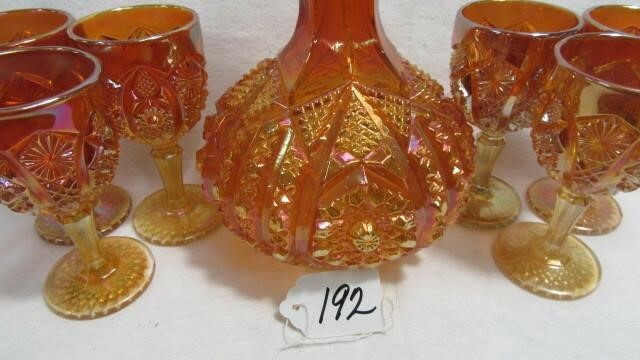 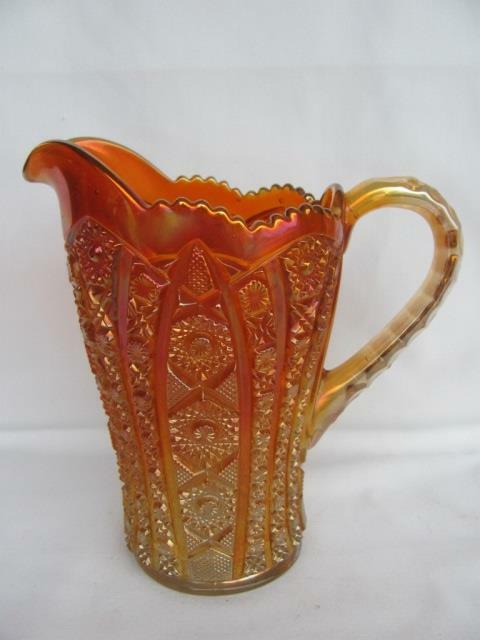 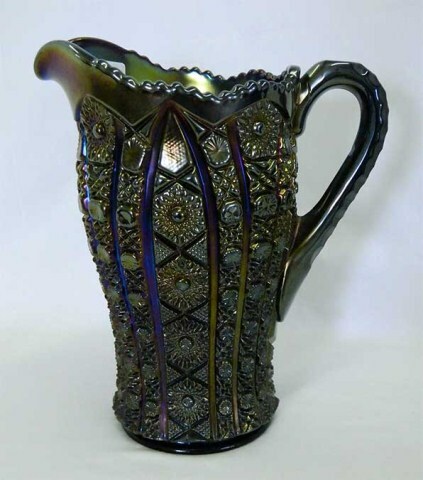 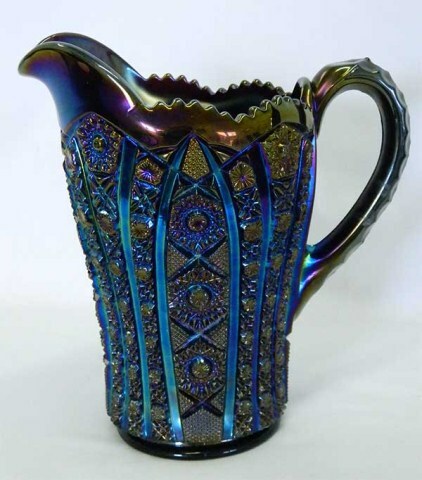 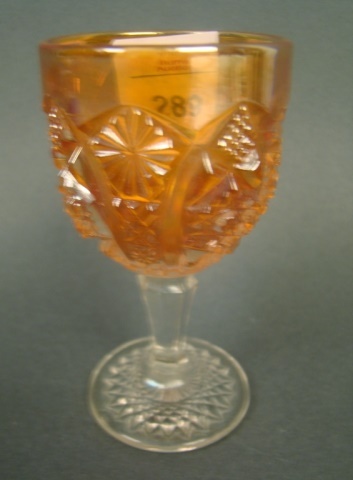 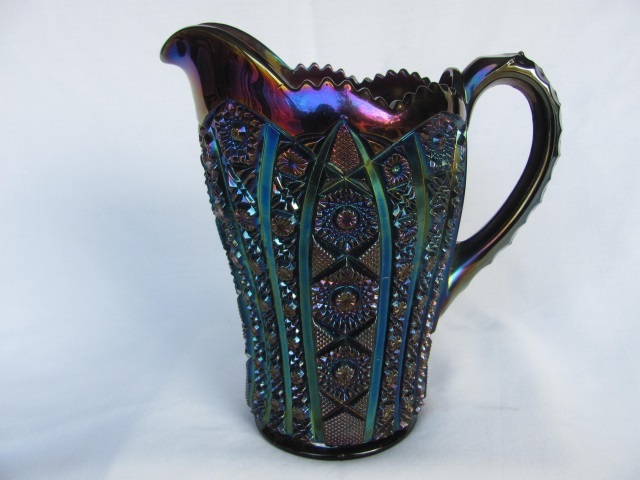 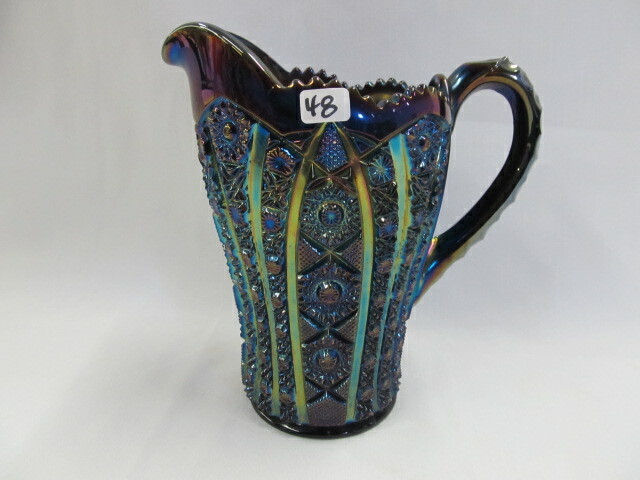 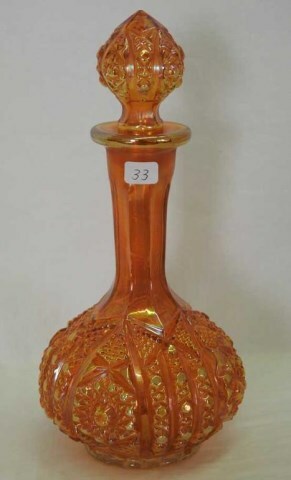 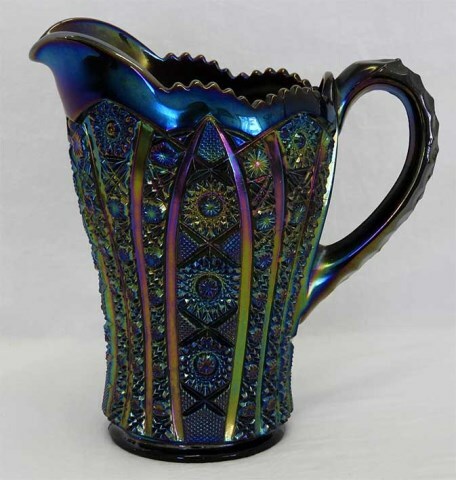 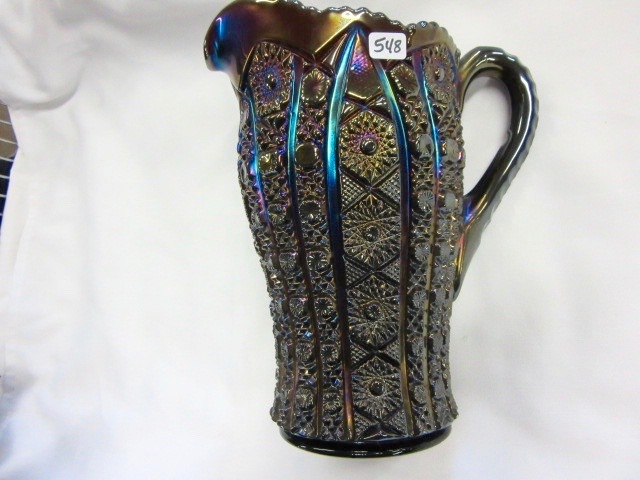 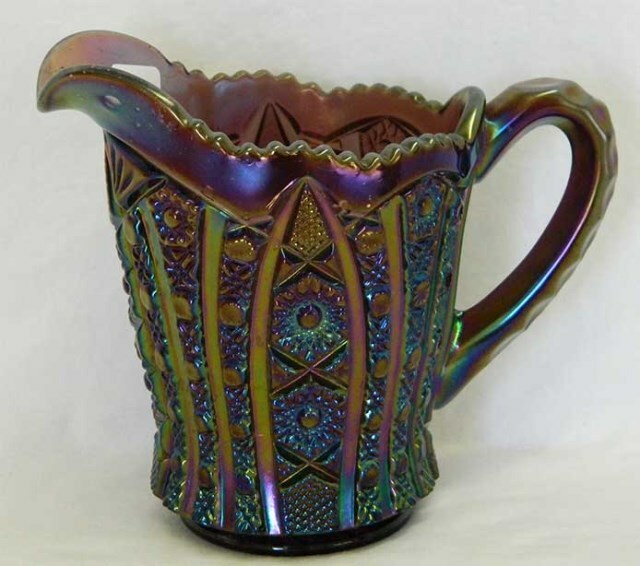 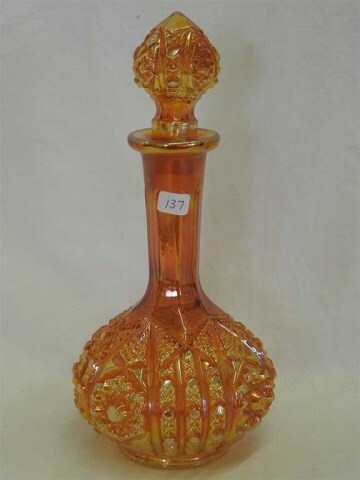 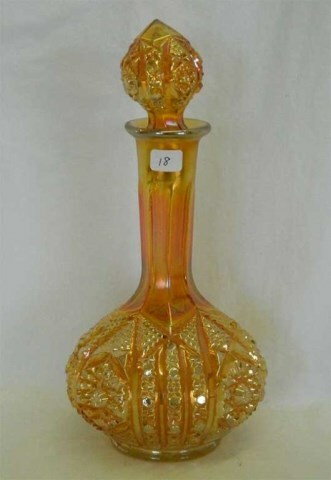 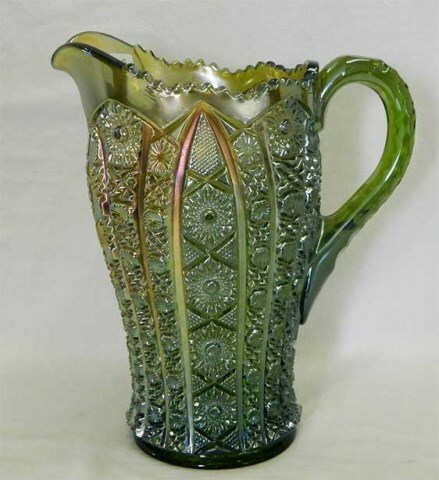 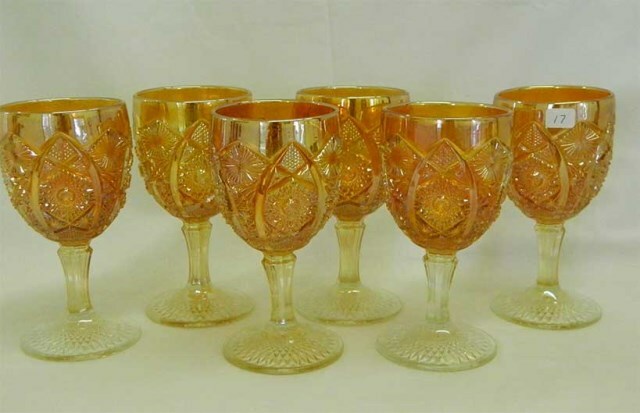 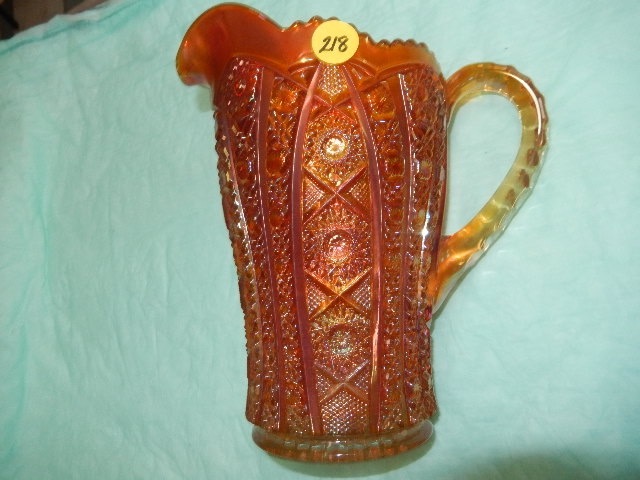 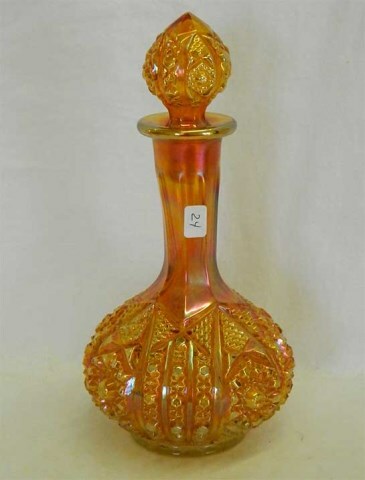 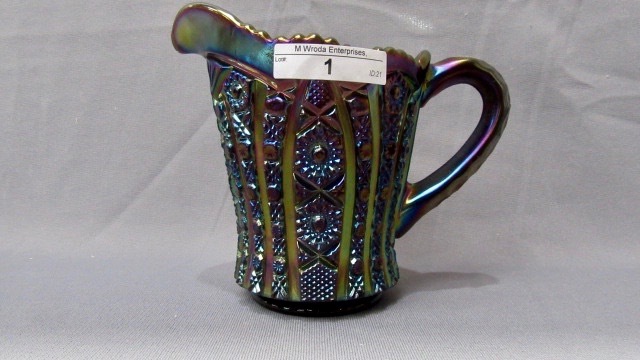 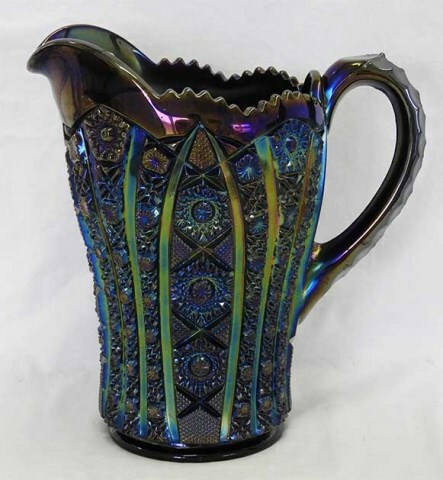 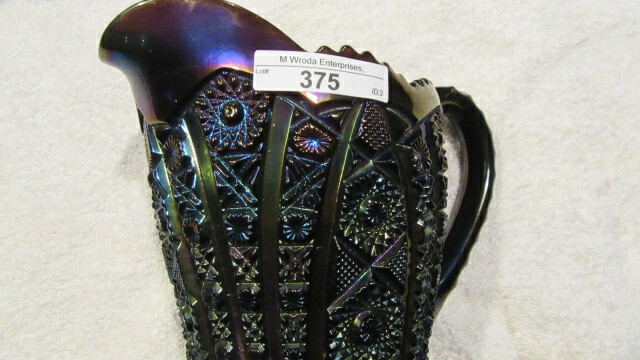 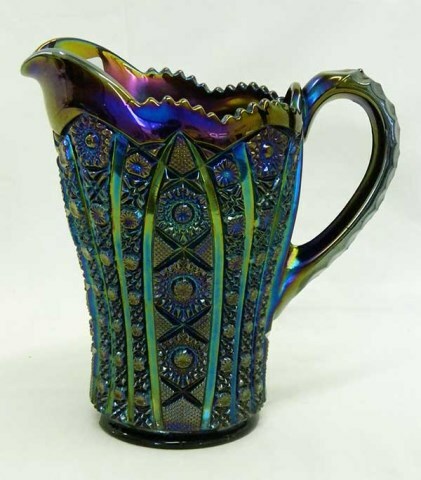 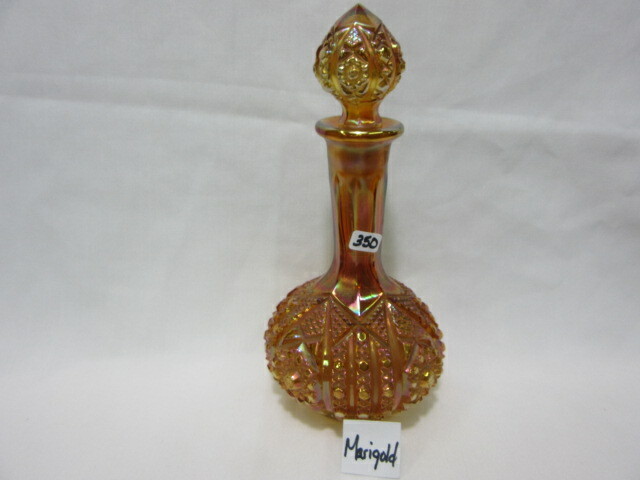 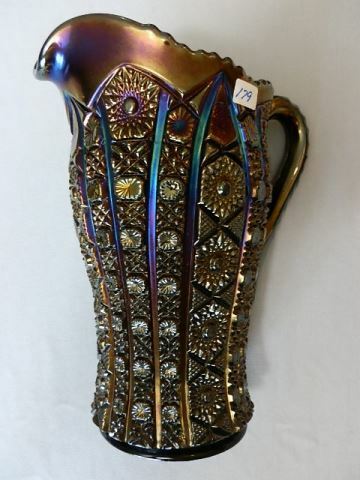 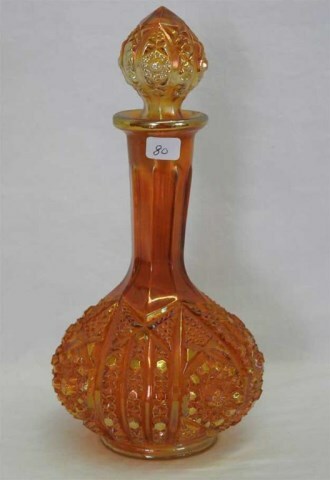 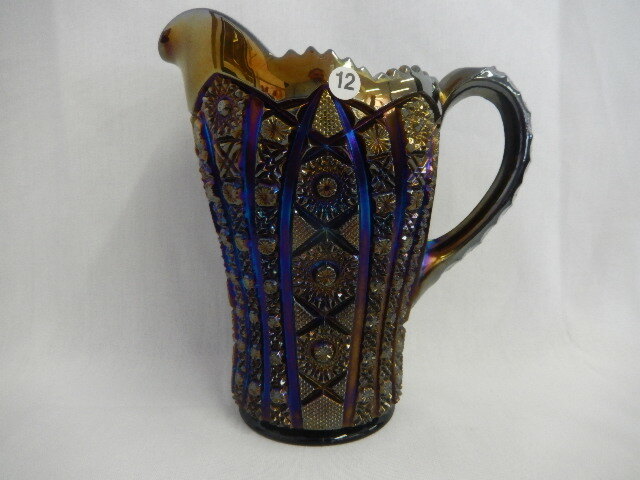 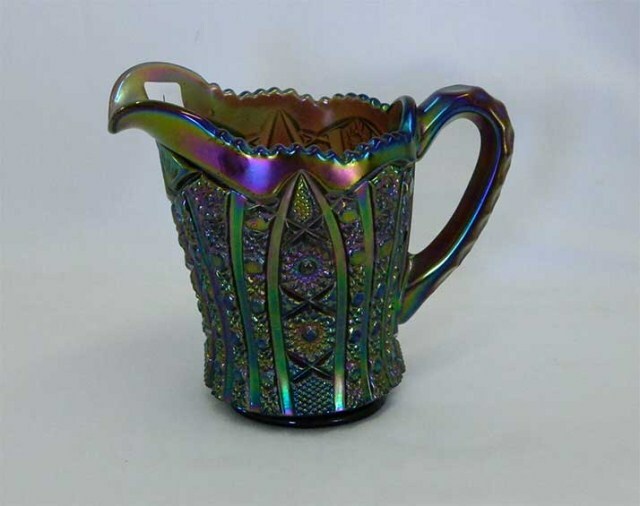 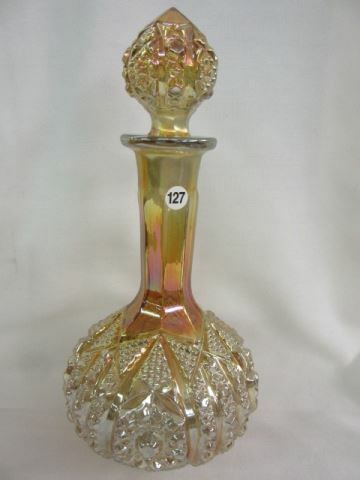 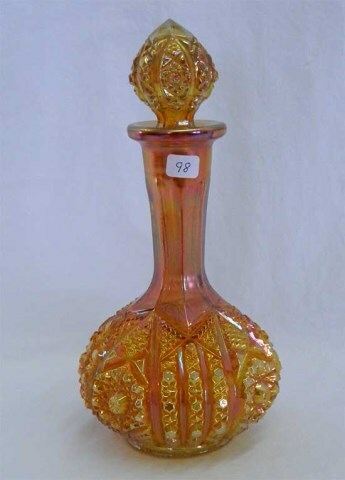 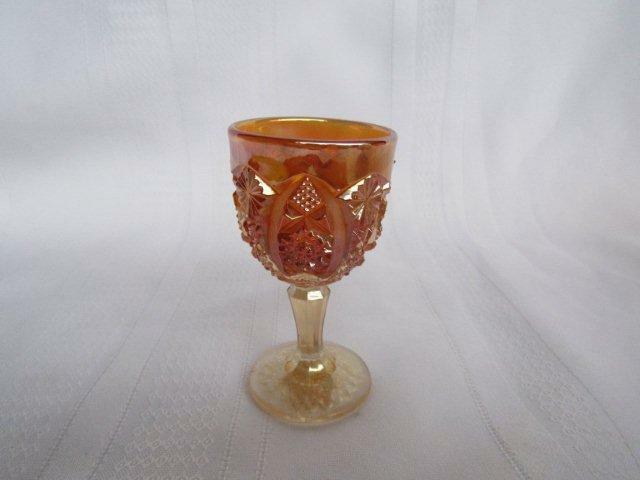 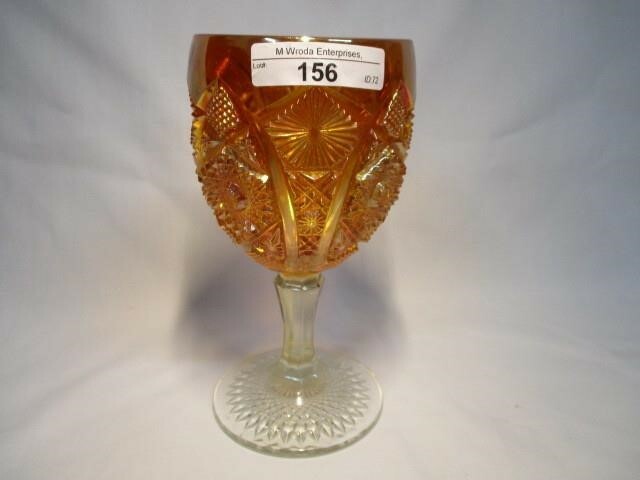 It was cracked, however, so it only brought $30; another in marigold sold for $240 in 1999.